Get your hands on this series of seven fairly easy to read and comprehend business inspirational mini eBooks, with motivational thoughts to help reach your life’s goals. A bundle of growth, in business and self-development! This is a series of seven business inspirational mini eBooks written in simple language and easy to understand. It is another tool to use and apply to your circumstances in business and life. 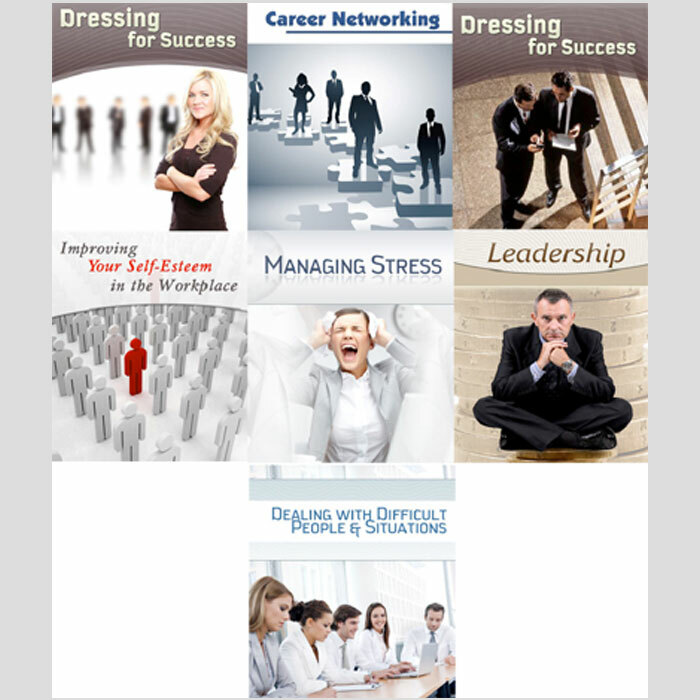 The information in these mini eBooks will help you reach your personal and professional goals. This is a superior package of seven PDF books that are all conveniently concise and on point from page one. In this business inspirational course is enclosed the basic fundamental information you need, from stress management to leadership, dressing for success and getting that position you want in your workplace. It is all compiled in an easygoing manner, inspiring you to reach further and step higher without unnecessarily complicating a thing. We got you covered and now you can take the reigns in your own hands, choose a book to start from and soak up the knowledge! All of the books are printable, if you need a hard copy, find a printer and make it work! You can store the files on all of your favorite devices, that way there is never a chance to lose them.